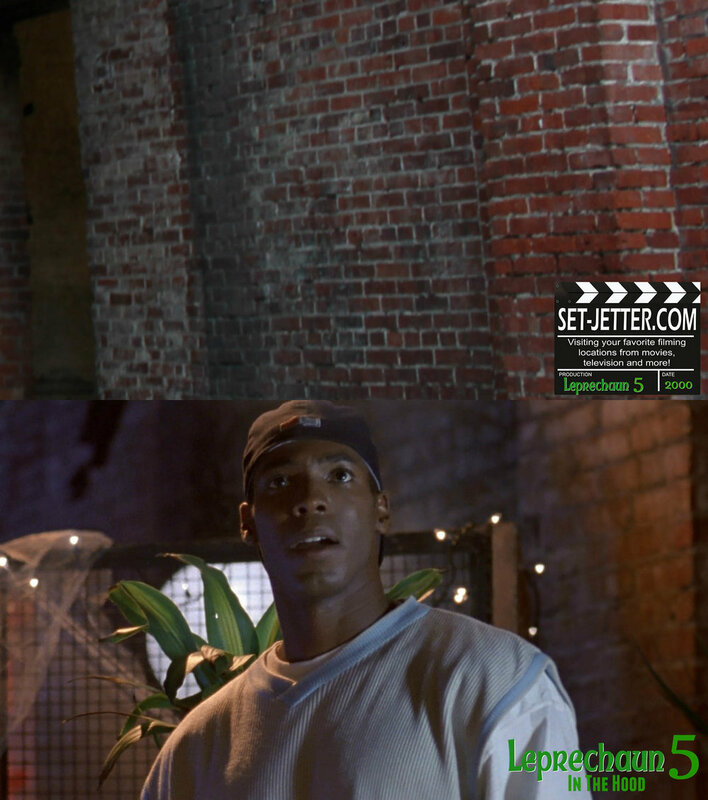 For the next entry, we return to earth, and more specifically, the hood. 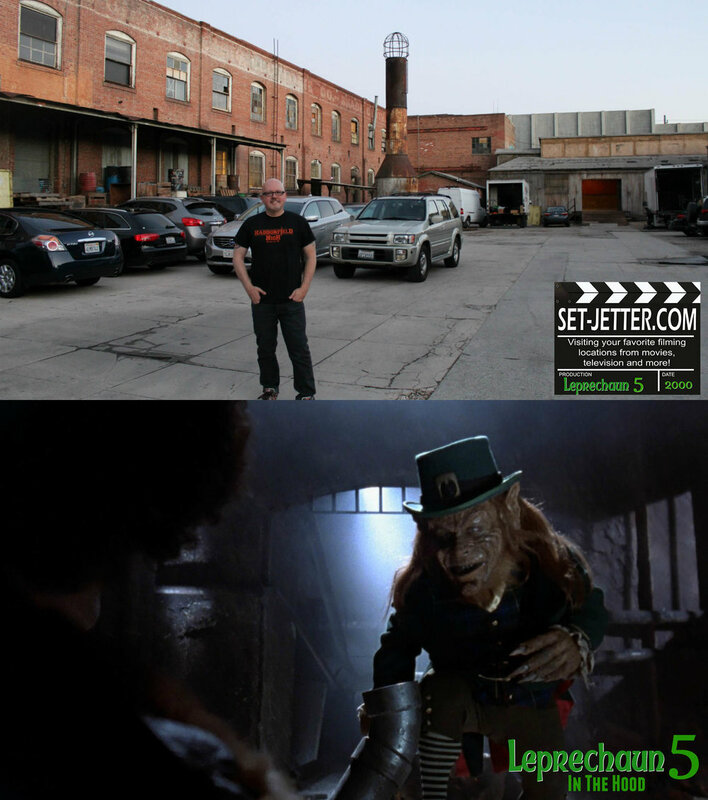 Released straight to video in 2000, the concept of putting the Leprechaun in a new environment proved to be popular with audiences. This entry was better received than its predecessor, so much so they would go back to the same well again. 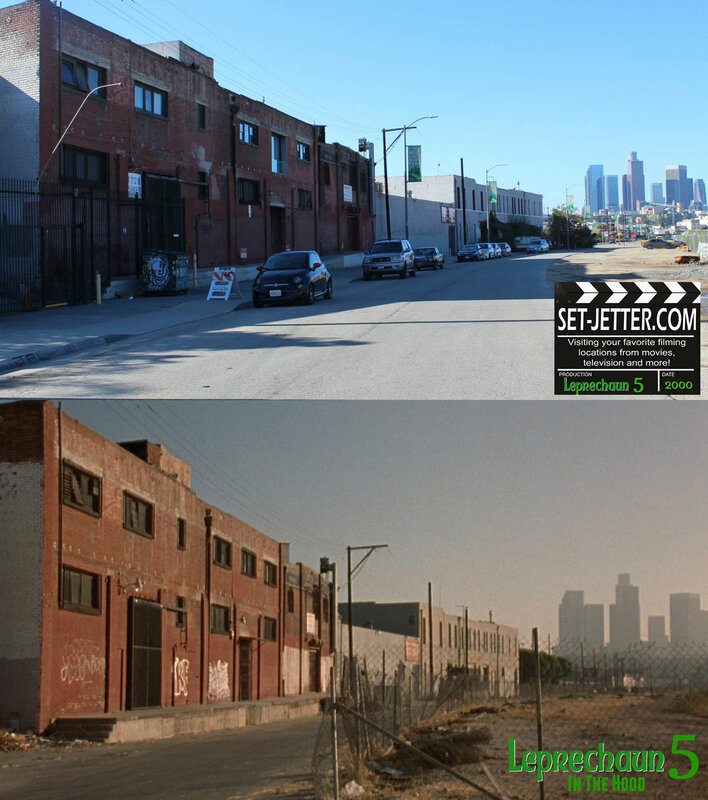 The opening scene in the subway tunnel was shot at Lacy Street Studios, located at 2630 Lacy Street in Los Angeles. 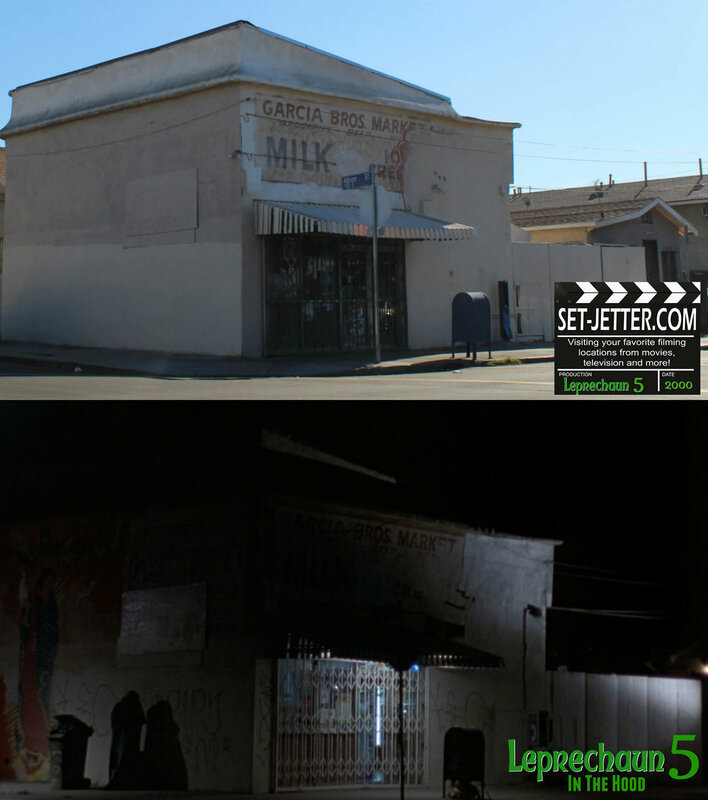 Horror fans will best know this studio as the filming location for Saw and Freddy’s Dead. 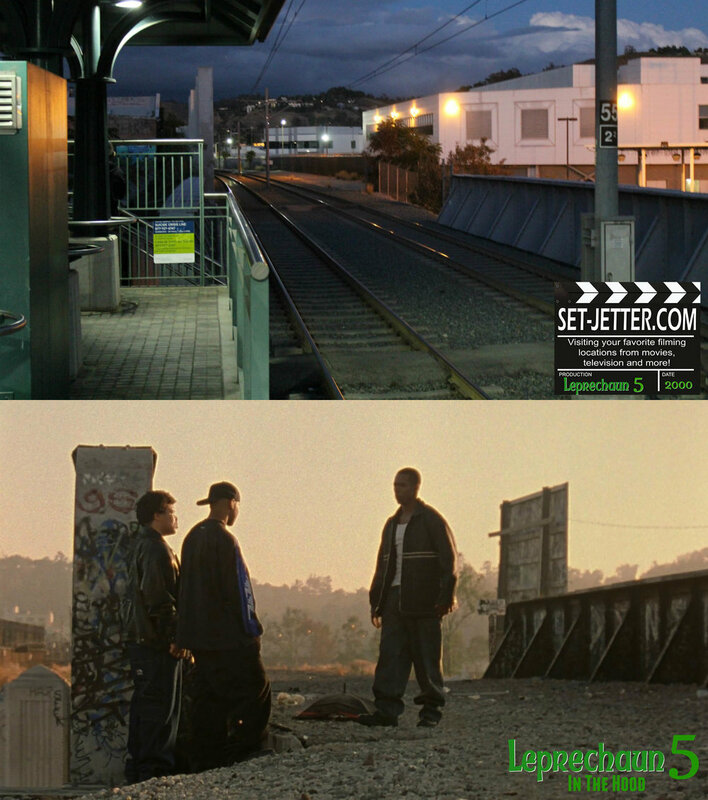 This first establishing shot is looking off of the now-demolished Sixth Street bridge outside of downtown. 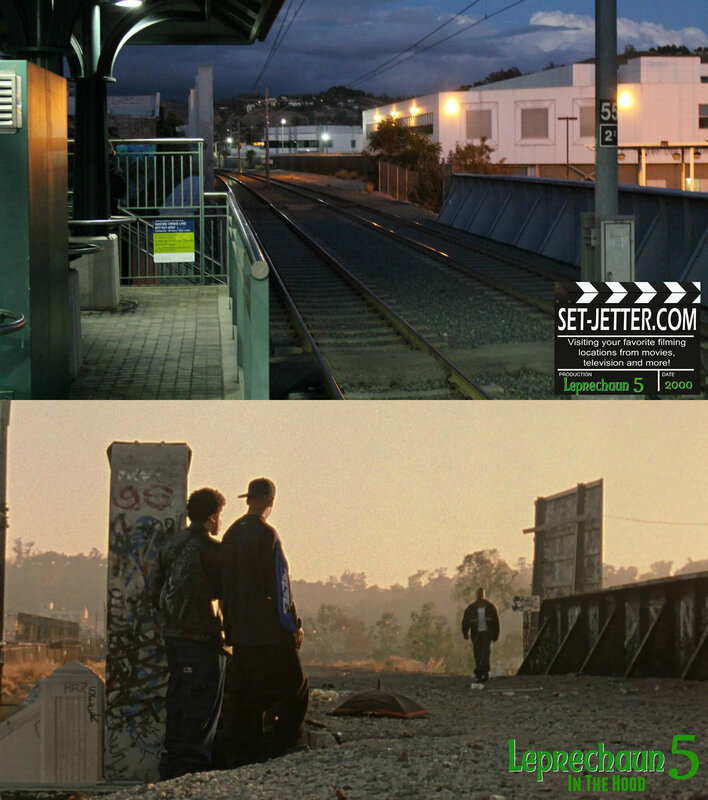 My picture is the reverse shot that is nearly identical to one of the posters used in Nightcrawler. 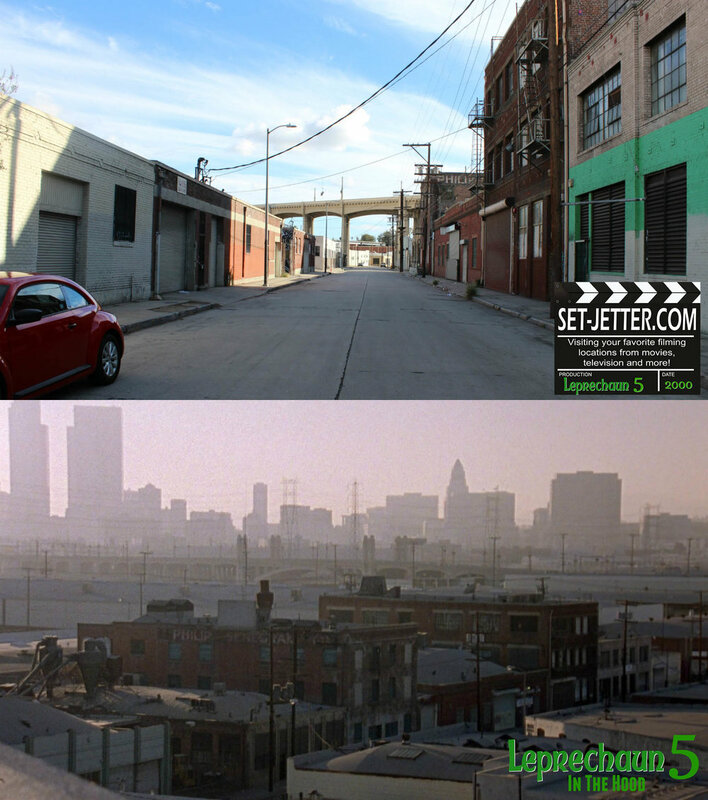 Exteriors were shot in and around downtown Los Angeles with most of the establishing shots off South Vermont Avenue around 42nd Street. 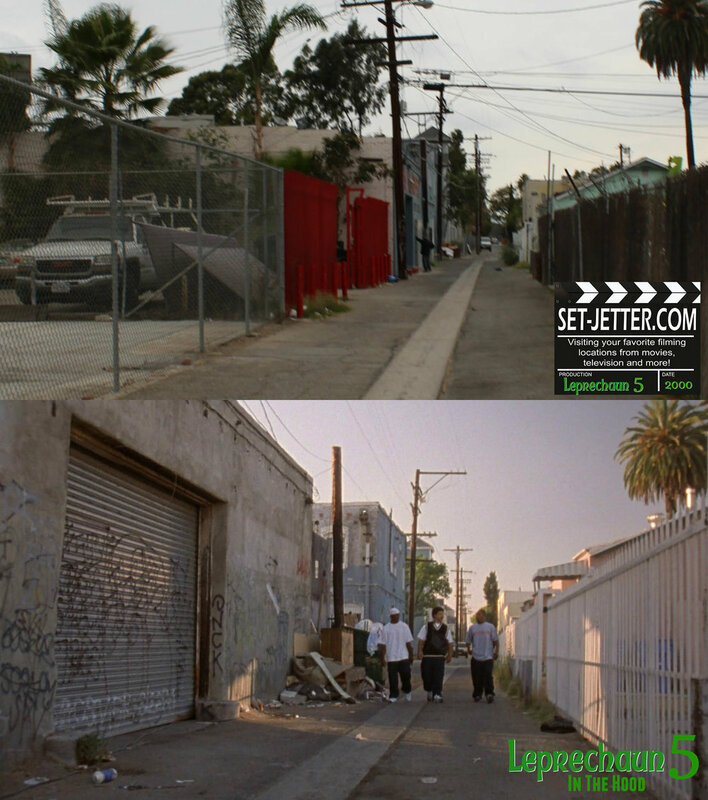 Just up the street is where we meet our lead characters, Postmaster P., Stray Bullet, and Butch, as they walk down the alley east of South Vermont Avenue between 41st Place and 42nd Street. 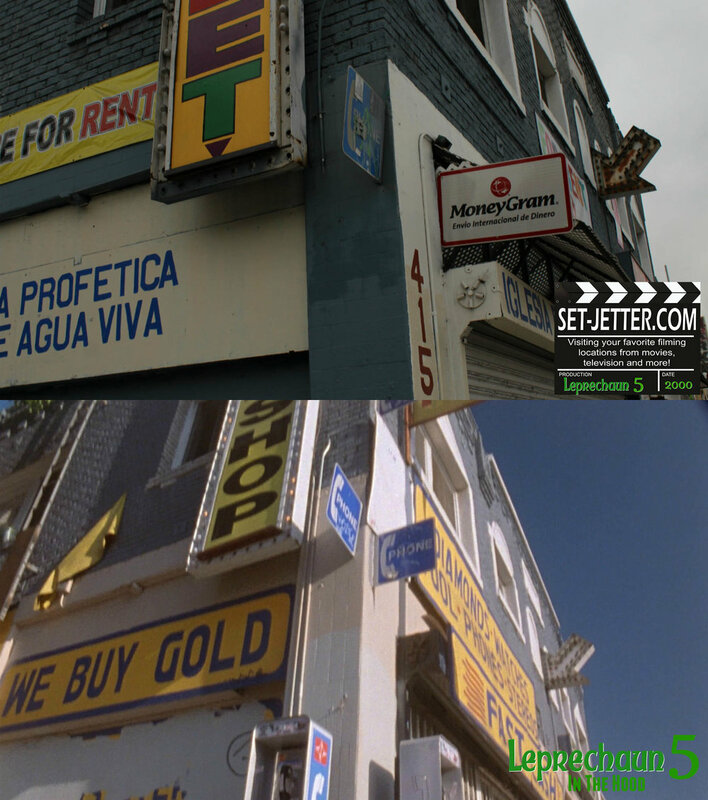 The pawn shop was actually just that at the time of filming and was located at the corner of 41st Drive and South Vermont Avenue. 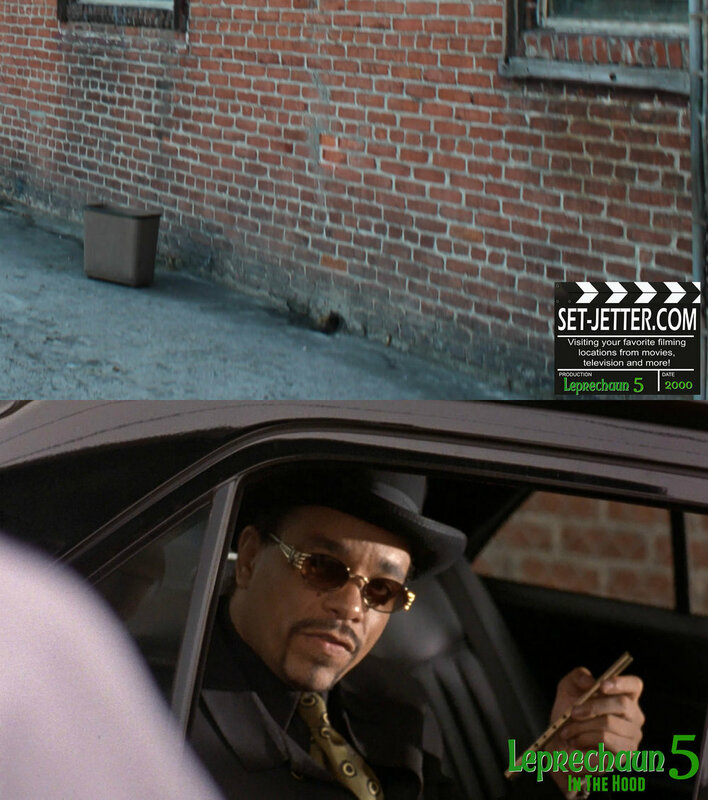 As they walk, they meet Mack Daddy, played by Ice-T. We are now at the side entrance of the Lacy Street Studios. 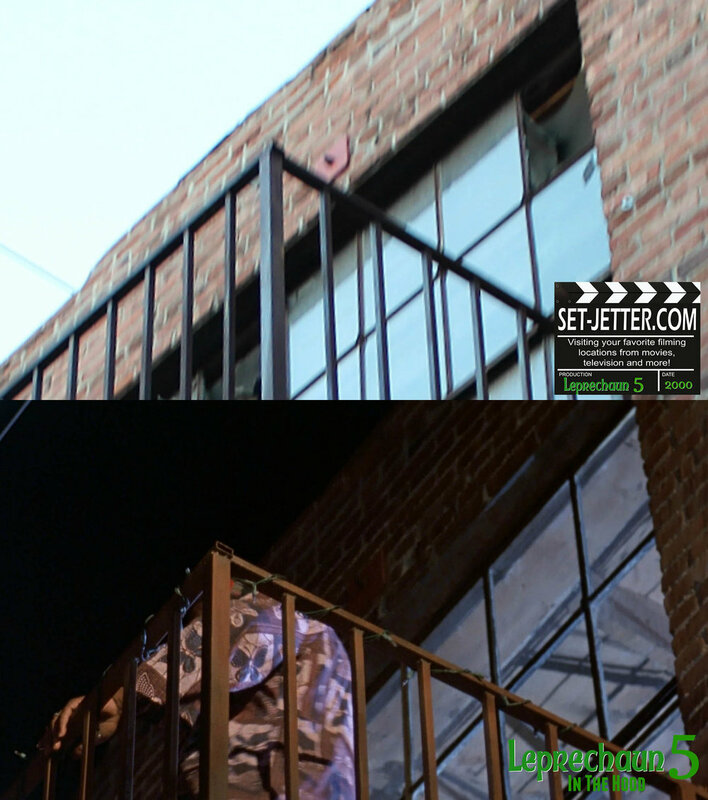 This establishing shot is taken at 1728 Baker Street, just east of Chinatown in Los Angeles. 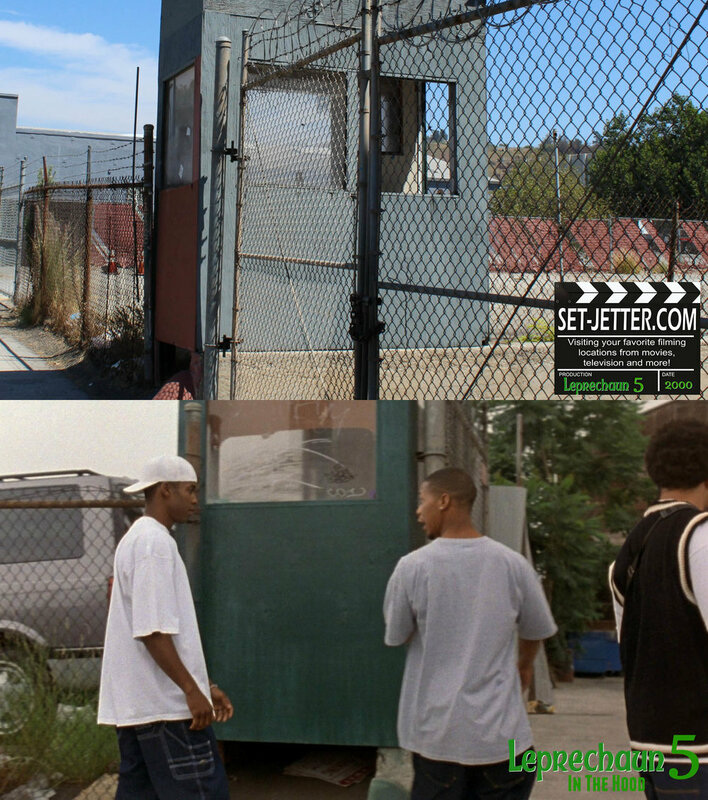 This building is seen a few other times in the movie, but shot from different angles as you'll see below. 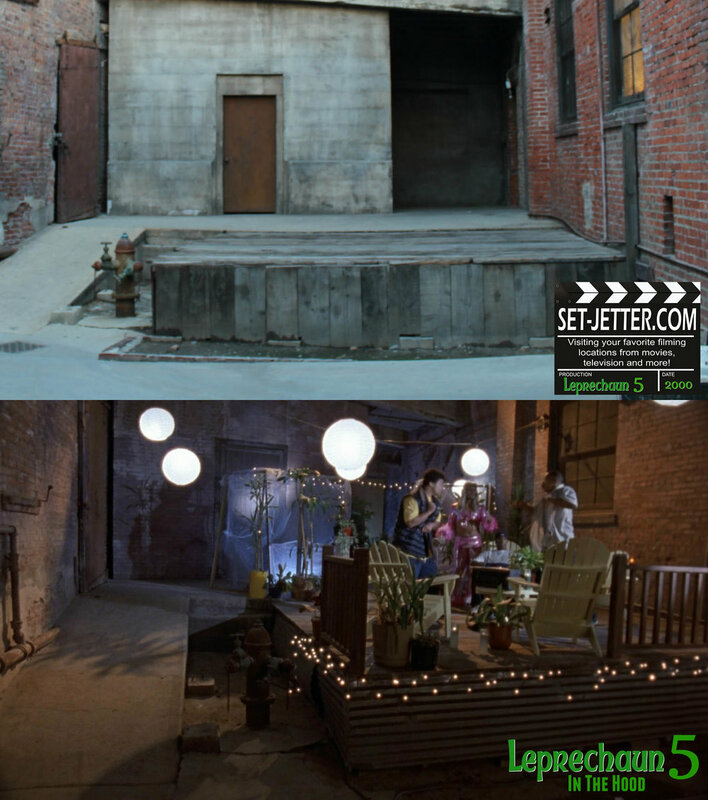 Many of the interiors and rooftop spots were also shot at the Lacy Street Studio. This bridge right next to the studio and has had significant renovation since filming. This spot is in a little entryway on the side of the Lacy Street Studios. The shots immediately after this are on the same street. 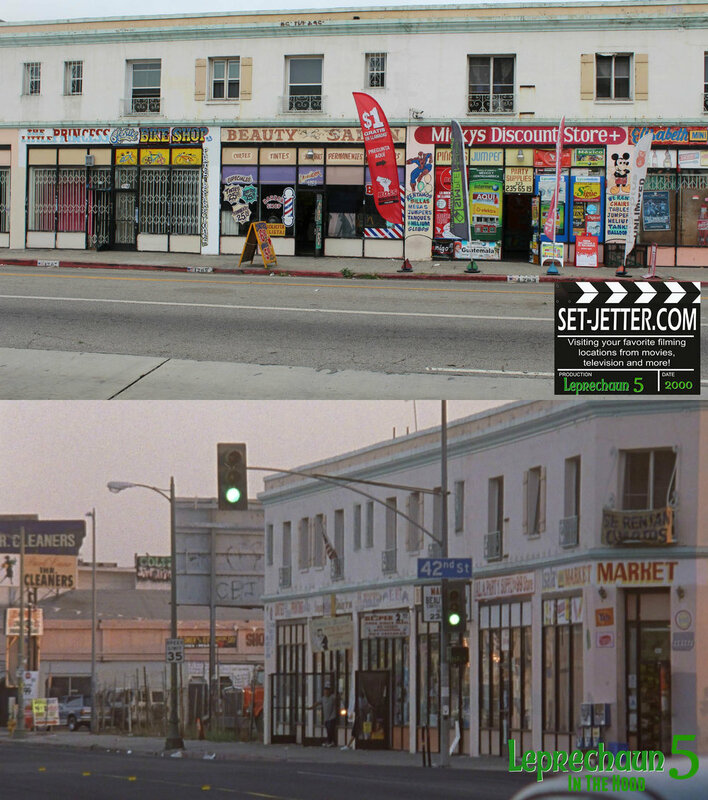 Chow’s store was shown as a few different exterior, but here it is the Garcia Bros. Market at 300 South Avenue 19. 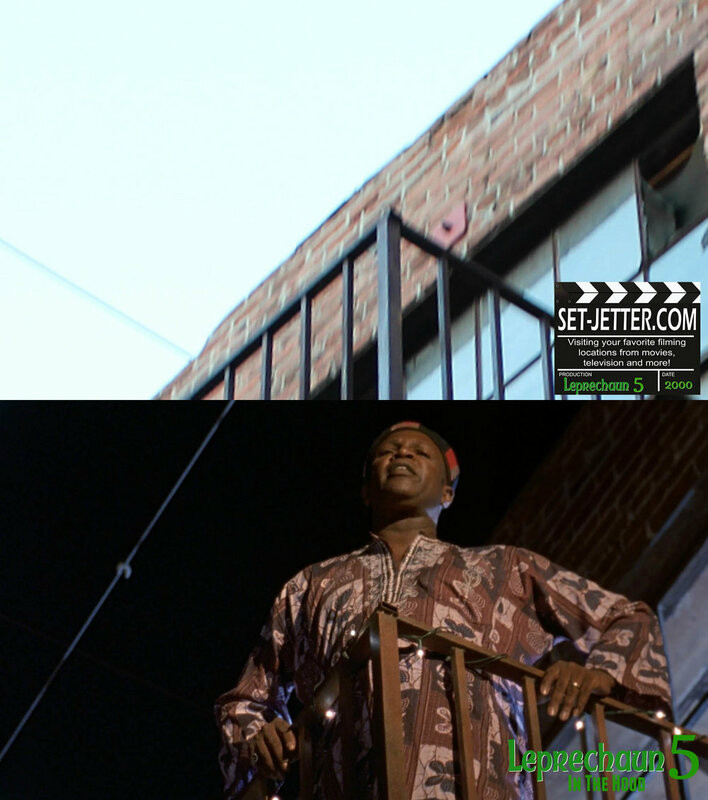 Miss Fontaine’s rooftop party is also at the Lacy Street Studio as well as her upstairs neighbor. The exterior of the grandmother’s house is located at 2601 Sichel Street. The boys seek sanctuary at Reverend Hanson’s church located just around the corner from the studio at 420 West Avenue 33. 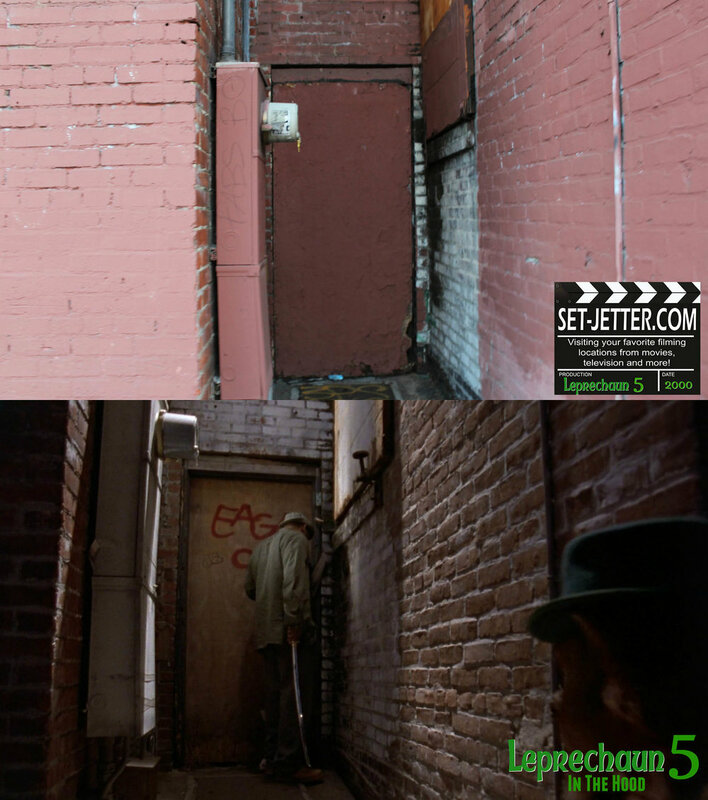 The elevator to the Golden Parrot club is an actual elevator in the Lacy Street Studio. 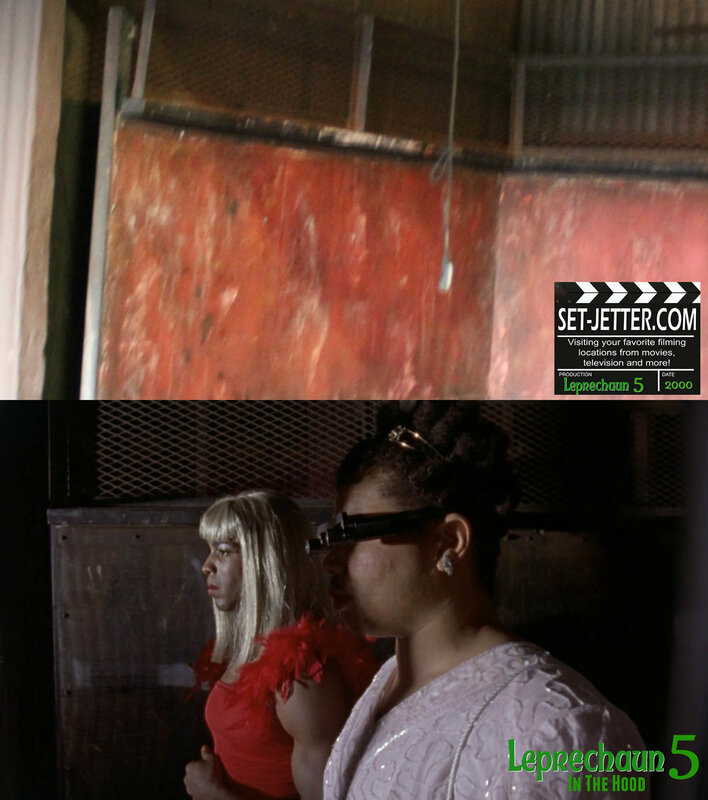 The club was created in an open space next to the elevator. Some of the furniture from the club is still being used and was in the diner set during my visit.